Our Hometown, Inc. CEO, Paul Kozma, has announced the release of a completely redesigned and upgraded newspaper and magazine eEdition. Created to ensure an outstanding experience across devices in a fresh, modern design, Our Hometown’s eEdition is available as a standalone product or as an add-on website feature. 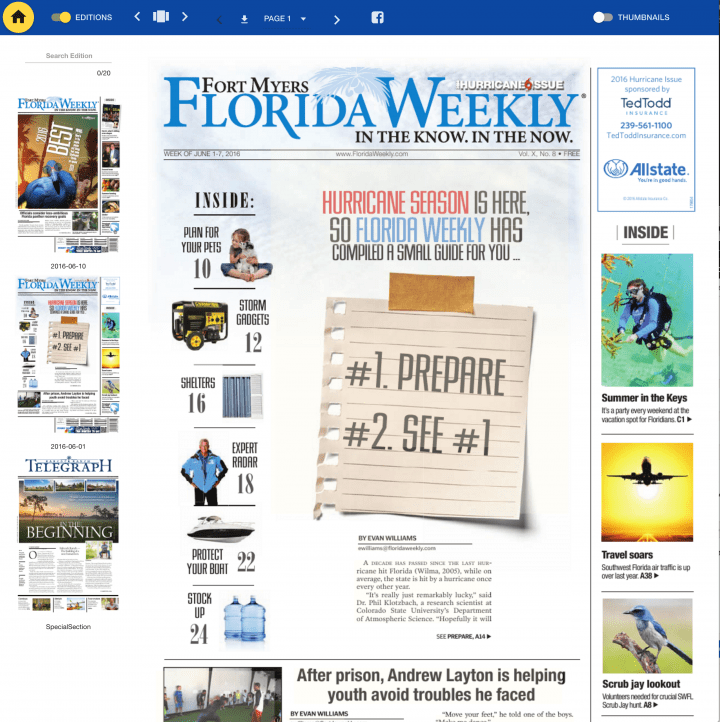 While most eEditions are either too basic or too expensive for local papers, Our Hometown’s eEdition platform is the perfect combination of style, functionality, and price. Kozma explained, “With Our Hometown, publications are not only getting the features they need but also the features they want but didn’t think they could afford. Customers who use Our Hometown’s content extraction platform benefit from automatic linking of PDF and website content for easy reading and sharing capabilities as well as advertising opportunities. For customers who prefer a self-service option, the new eEdition allows a publication to easily tag articles in the PDF and tie it to their digital content as well as advertiser or business profiles, all from within the eEdition web interface. Single page load is another bonus feature for publishers and readers concerned about data usage. Most platforms download the entire PDF, regardless of how much is actually being read. Our Hometown’s platform only loads the pages that are actually being read. Select pages from a thumbnail bar, page menu, or by simply scrolling or swiping through the paper but never worry about wasting mobile data or server space. Other standard eEdition features include optional paywall and subscription software, unlimited archives, single page PDF download, social sharing, screen pinch zoom on touch devices, and vertical and horizontal scrolling options. To see a live demo or for pricing visit our-hometown.com or call 315-294-5735.